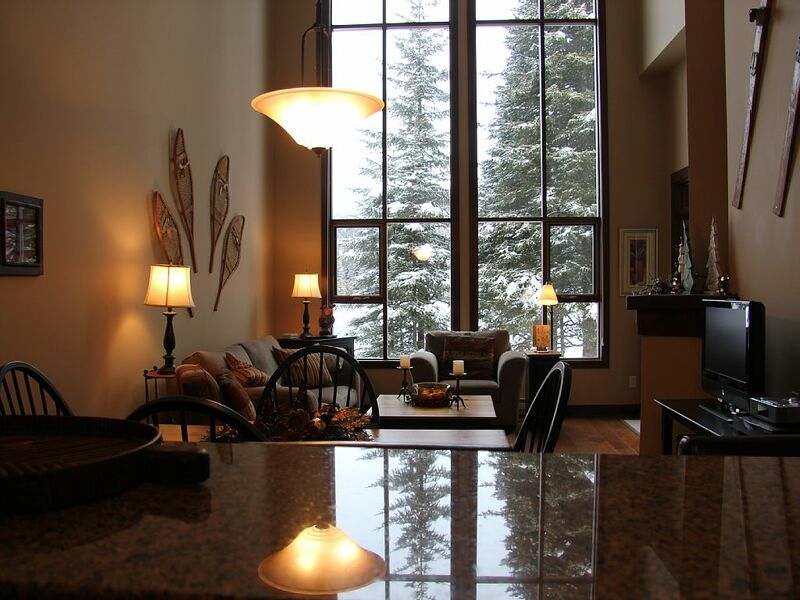 Stones Throw Condos in Sun Peaks Resort - The Best! The Stones Throw condos development at Sun Peaks is, in our opinion, the best of the Sun Peaks vacation rental homes at Sun Peaks Resort and are a wonderful Homeaway from home. They are very modern, finished beautifully and are in a wonderful, convenient location just minutes east of the Sun Peaks Village backing onto the 16th Fairway of the Sun Peaks Golf Course. It is just a 7-10 minute stroll along the Sun Peaks Valley Trail Network to get to/from the village. Stone's Throw was one of the last Sun Peak developments built in 2007 before the economic slowdown, and the builder included many luxurious upgrades that help to make these great Sun Peaks Vacation Rentals. Don't just take our word for it though - see our Stones Throw Sun Peaks Reviews page to see what our many guests say. See our BestSunPeaks condo information and reservation request page. Great ski-in/ski-out location right from behind the Stone’s Throw complex and straight downhill to the Morrisey Express lift with minimal, if any line-ups, and now the new Sun Peaks Orient chairlift - two great choices! Ski back via the Sundance Express Chairlift and then take Rambler to East Village Skiway and then down Fair Dinkum right across the fairway to your Stone's Throw condo. How about a beautiful, private hot tub overlooking the Sun Peaks Golf Course and Mt. Tod and Sundance Mountain - yes please! And did we mention the simple and wonderful, ski-in and ski-out location? Check out the video at the bottom of this page which includes wonderful aerial footage of the Stone’s Throw condos. After viewing many properties, we chose to buy in Stone’s Throw because we thought it was a spectacular four season Sun Peaks vacation home and we believe we now own one of the Best Sun Peaks condos - hence the name BestSunPeaks condo. And thankfully, our guests have all agreed with us as can be seen on these Stones Throw Condos reviews! We love all the features, upgrades, spectacular views, and convenient location of Stone's Throw - and yes it is just a 'stone's throw' away from the village. The setting also makes Stones Throw perfect for enjoying an in-suite massage or catered high-end dinner from Bottoms Catering. If our Stone's Throw condo is already booked, we can possibly be able to get you a 10% discount on other Stone's Throw with this special vacation rental property link. 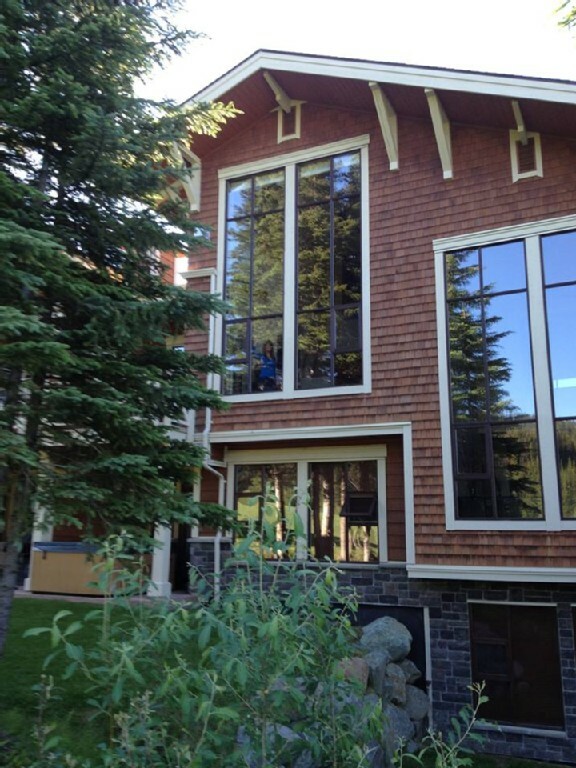 If you are interested in purchasing your ski resort real estate at Sun Peak resort, keep Stone's Throw in mind! Interested in booking a Best Sun Peaks Vacation stay during any wonderful season at Sun Peaks Resort? Click the contact us link and ask for a quote for our spectacular Stone's Throw vacation rental at Sun Peaks - without having to pay the new in 2016 service fee.. 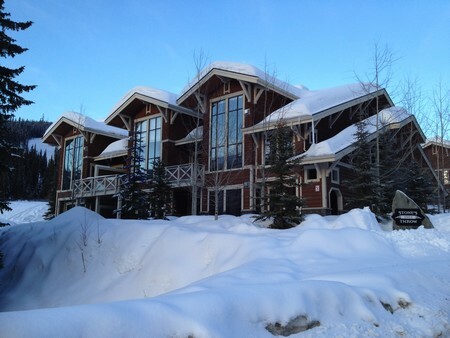 Awesome location and super easy and convenient ski-in/ski-out abilities at Sun Peaks - read our reviews. You can be up on Mt. Morrisey while others are still waiting at the bottom of Tod Mountain!